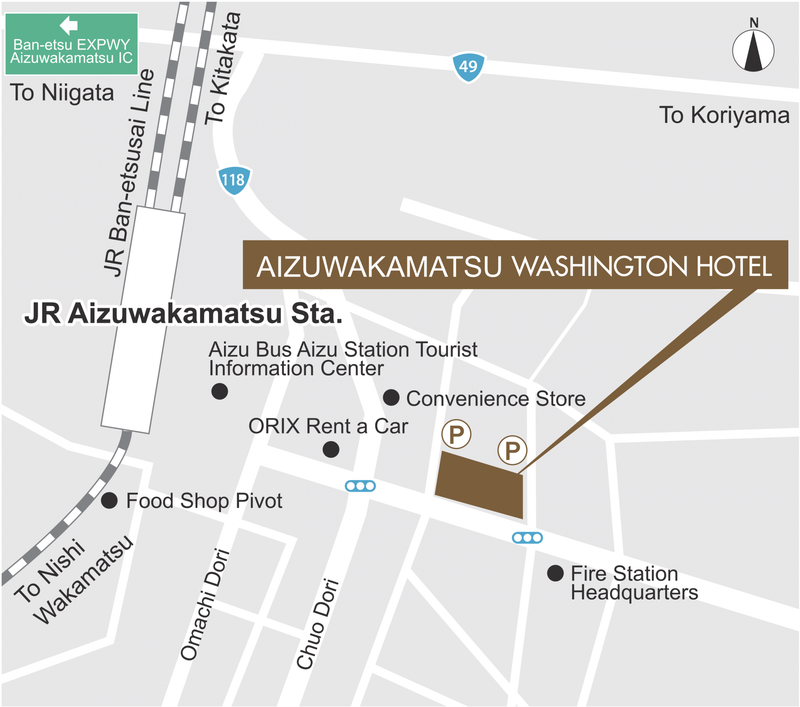 Located a 3 minute walk from JR Aizu-Wakamatsu Station, Aizuwakamatsu Washington Hotel is the perfect base for sightseeing and business. The city of Aizuwakamatsu depicts traditional colorful beauty and has a long and rich history. It is the perfect blend of Japanese old world charm and tradition and the sophistication of modern culture. Aizuwakamatsu has flourished for more than 600 years with the grand Tsuruga Castle at its heart. Merchant houses and warehouses (above all, white-walled sake breweries) line the streets of the old Lord Matsudaira’s castle town where you can really get a sense of the city’s long history. Sanjusangendo, our Japanese restaurant, offers hot-pots prepared to reflect the seasonal flavors of Aizu as well as locally-brewed sake. Sit comfortably with your friends and enjoy the taste of Aizu Wakamatsu.